Hamamelis Virginiana 30 c by Boiron works very well to calm any skin conditions! This Hamamelis Virginiana 30c by Boiron appears to ease the situation on my occasions of flare-ups. I use it regularly! Hamamelis Virginiana was recommended by my uncle who is a homeopathic practitioner.. I never thought I will get relief from hamorroids so fast. 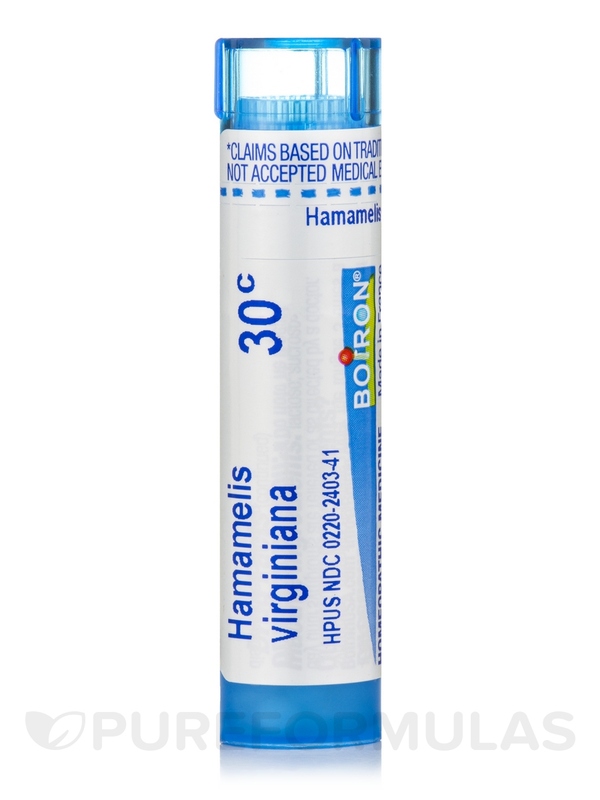 Somehow Hamamelis Virginiana 30c by Boiron does not work for my hemorrhoid. I took the whole tube in five days and nothing has changed. Hamamelis Virginiana by Boiron does work for hemorrhoids relief. 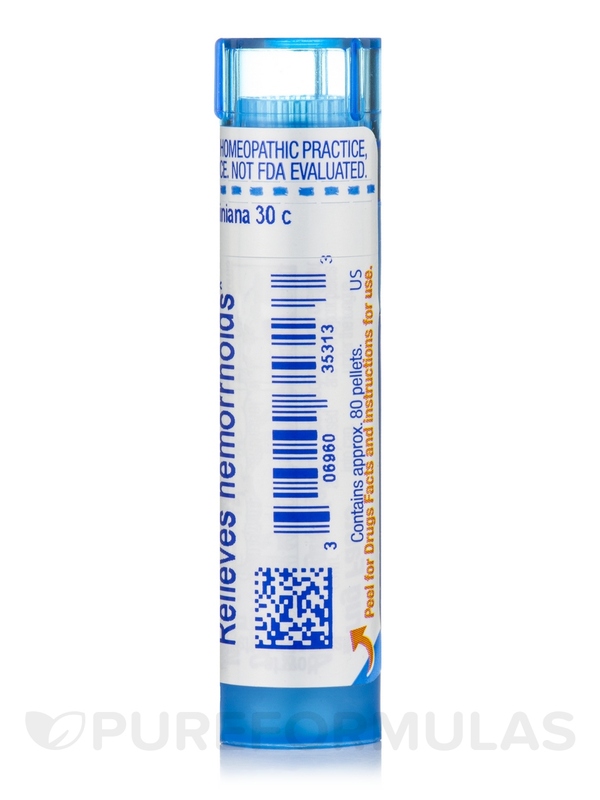 The Boiron tube is a terrific way to dose without spilling tablets down the drain. 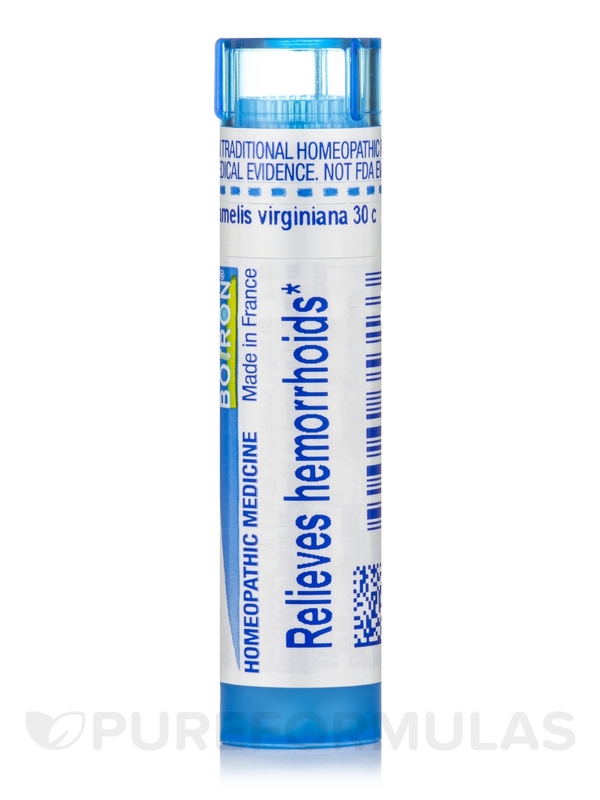 The ease of use and quick homoeopathic remedy to a hemorrhoid episode is amazing. I use Boiron products whenever possible and now I'm happy to have an equally quick & effective way to get them via PureFormulas. Easy to use. Easy to order. Competitively priced and free shipping!